Finish: A soft casual finish over Rustic Birch gives a rustic, character-filled and authentic look to the Toffee accent finish. The finish is complemented by antique-inspired hardware including kick plates, tear-drop-shaped pendants and ring pulls with back-plates in a time-worn bronze finish. 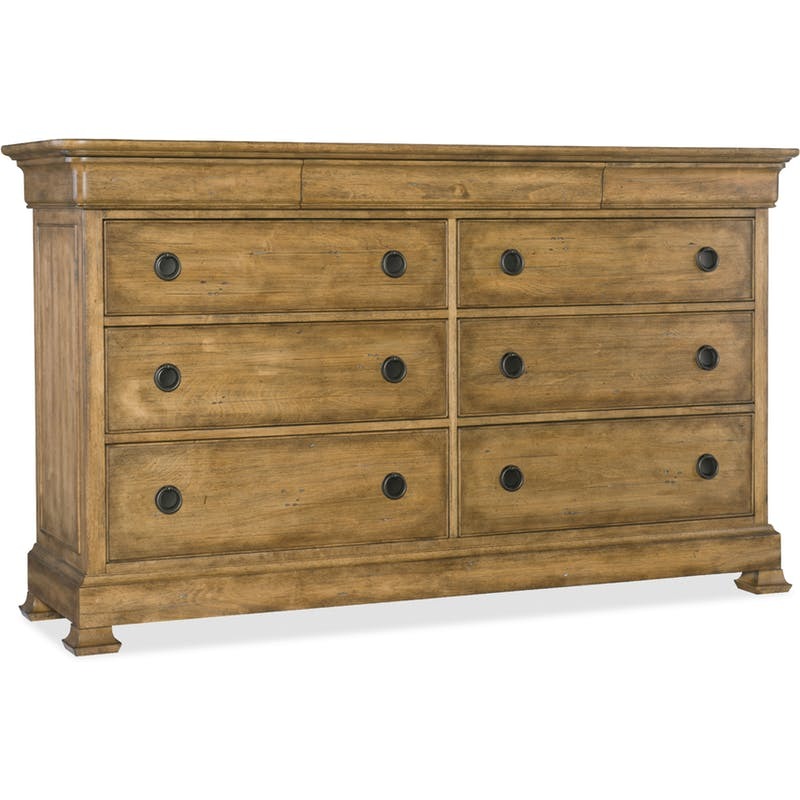 Click here to receive email quote for Nine Drawer Dresser item.